While browsing the recent selection of free Kindle books on Amazon, I was quite pleased to come across The Vampire’s Warden by S.J. Wright. I have quite a weak spot for supernatural fiction, particularly vampire fiction, and although there is plenty of it cheap on Amazon, it’s not often I spot a free book. 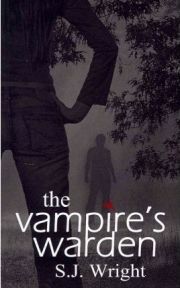 The full title as given on Amazon is The Vampire’s Warden, A Paranormal Romance (Undead in Brown County #1), indicating it was the start of a series. The main character is Sarah, who in her early twenties has lost both her parents and is now responsible for running the family’s rural Inn. Things take a bit of an odd turn however when a stranger named Alex turns up and claims that her mother has sent him – her mother who was supposed to have died in a car crash when Sarah was just a little girl.